Self Conscious about the way you look? Are the innumerable numbers of sit-ups not giving you the taut tummy you want? Too much flab or excess skin on your abdomen post childbirth or after losing too much weight in a short span of time can make you look awkward. A Tummy Tuck or Abdominoplasty is a cosmetic surgery to improve the appearance of your abdomen (stomach). It may involve removing excess skin and fat and tightening the abdominal muscles. It helps to restore the flat contour of your belly and helps to improve self confidence. Who can go for Tummy Tuck? If you have flab, stretch marks or excess skin in your abdomen that does not improve with diet or exercise. If the shape of your abdomen has been affected by pregnancy or massive weight loss. If you have a feeling that your protruding abdomen is unattractive. If your self-confidence is marred by your stomach contour. Who should not go for Tummy Tuck? What happens during Tummy Tuck? It is very important to talk to your doctor or a certified cosmetic surgeon to know your options before going in for the procedure. Dr. Prashant Murugkar can provide you with reliable beauty solutions with the best possible results. In this surgical procedure, our surgeons will remove your loose abdominal skin and tighten up your abdominal muscles with sutures. This can be done either by making a cut in the abdomen from hip bone to hipbone or a small cut in the pubic area. The method used depends on how much skin needs to be removed and if the muscles need to be tightened or not. When can I return to normal life after having Tummy Tuck? You may have to stay in the hospital for one or two days for the procedure. You can start walking on the day of surgery itself though with difficulties. Things will ease after 3-4 days and you can resume most routine activities after a week or ten days. More strenuous physical activities will not be allowed for around three weeks after the surgery. What is the cost of Tummy Tuck? The cost of the procedure is more affordable than you think it is. 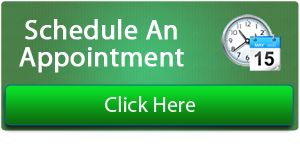 Fill in the form that shows on clicking “ Make an Appointment” button and we will get back to you as soon as possible. If you are looking for Tummy Tuck Surgery in India come to MedSpa. Dr. Ajaya Kashyap India's best plastic surgeon help you to make you understand all thing about Abdominoplasty. Remember to include expenses for recovery time into a tummy tuck budget. Be aware that most plastic surgery done solely for cosmetic purposes is not covered by insurance; even tummy tucks done for health reasons may not be covered if they are done outside of the country. Some insurance companies may also consider possible side effects to a tummy tuck when figuring insurance premiums. Very informative post, A tummy tuck surgery or abdominoplasty, is a cosmetic surgery procedure that remove excess skin and fat from the abdominal area and improve the appearance of abdomen. I found this blog quite interesting and informative. This blog helped me a lot to understand about cosmetic surgery. I appreciate your efforts in providing people The Use-full Information. Good to discover your site Very well article!